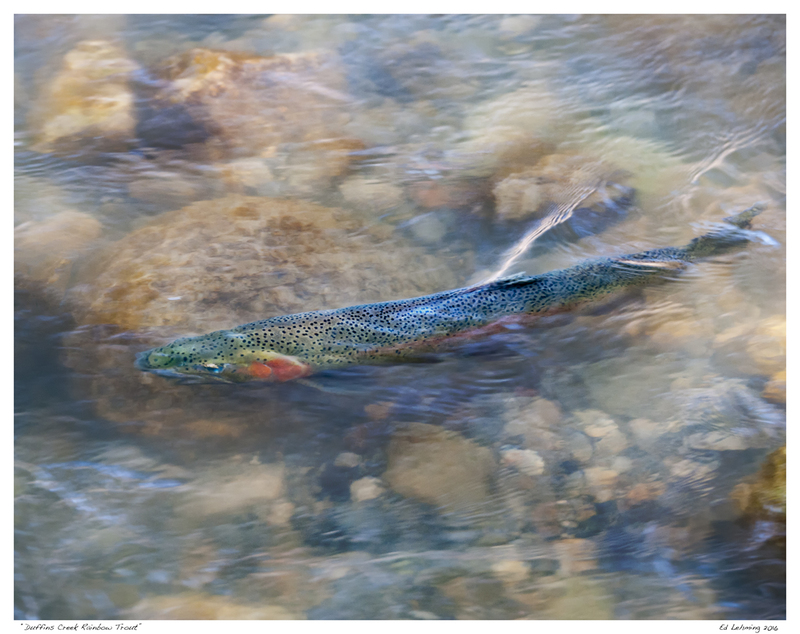 Published May 30, 2016 at 1280 × 1015 in “Duffins Creek Rainbow Trout”. Love this one, Ed. Very impressionistic! I loved that I couldn’t tell what it was right away, it reminded of something from Renoir or Monet at first. The trout within the currents is so beautiful and you captured it here. GREAT CAPTURE! That’s a tough shot to get – Bravo! beautiful image, showing how surreal objective reality actually is … something you do very well, indeed!